Almost 67 years ago when Yedunad Prasad Yadav rented out a tiny cubicle near Shivaji Nagar station to make and sell bhel puri, little did he know, years later his recipe would turn into one of the most sought after street snacks in Pune. We recently tried it, and here's what we thought. 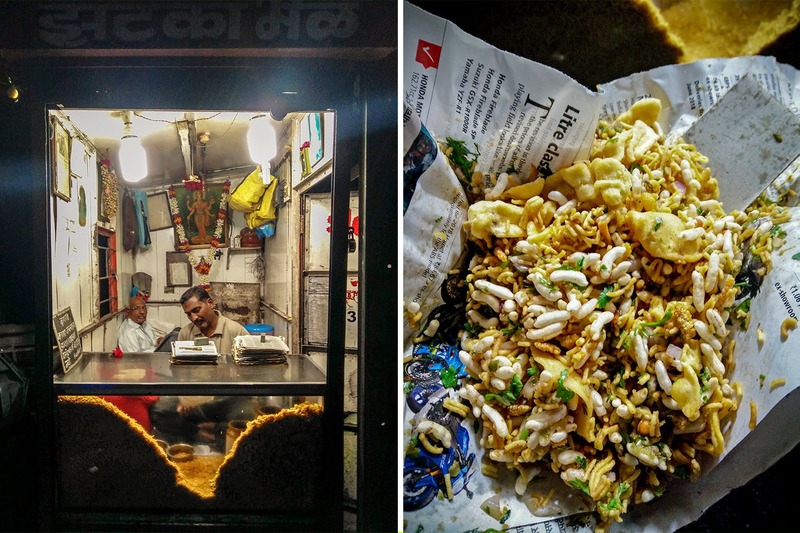 Formerly known as Bhel Puri, the kiosk, Jhatka Bhel is currently owned by Yedunad's grandson Radhesham. What's interesting is, even after six long decades, the family business continues to run solely on bhel puri, nothing more, nothing less.In fact, from what we hear from many loyal patrons is that the taste has not changed even a bit, and is as incredible as it used to be back in the '50s. As for us, we loved the sweet-and-spicy concoction of crispy puffed rice tossed with farsan, imli and hot green chutney, roughly chopped onions, raw mango and green chillies. Priced at INR 30, this mix, unlike most bhels we've tried, was moist yet crunchy and tangy yet sweet enough to leave a pleasant after-taste. Jhatka Bhel is opened on all days of the week, between 2.00 pm and 10.00 pm. If you're new in the city and looking for Puneri favourites, we think this can be a good start.